In a new video posted online, al Qaeda leader Ayman al-Zawahiri claims that the Somalia-based terrorist group al Shabaab has joined its ranks. They've made it official. Al Qaeda has solidified its reach into Africa as the Somalia-based terror organization al Shabaab formally pledged allegiance to the followers of Osama bin Laden, according to a new video that recently surfaced online. "I give you good news today that will make the faithful happy and the Crusaders cringe: al Shabaab in Somalia has joined al Qaeda," says al Qaeda leader Ayman al-Zawahiri in the video. 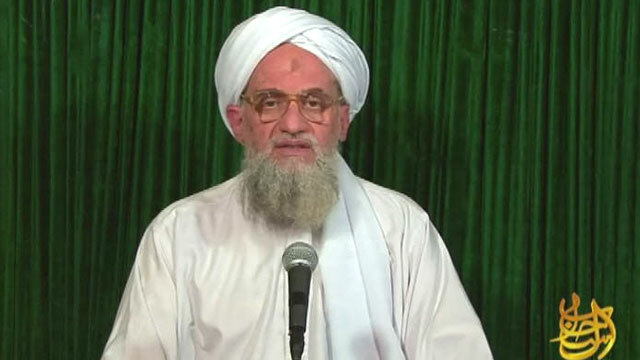 Zawahiri took over al Qaeda's leadership after U.S. Navy SEALs killed Osama bin Laden in May 2011. The video also features an audio statement allegedly by al-Shabaab leader Sheikh Abu Zubeyr in which he pledges allegiance to Zawahiri. "The entire world attests that America's days are over and her rule has gone and her minions in the land of Muslims -- their end has come," the man identified as Zubeyr says. However there was little cringing to be found among U.S. officials who said Zawahiri's message was old news. "Zawahiri's announcement just formalizes what everyone already knew: al-Shabaab is an affiliate of al Qaeda," a U.S. official told ABC News. "This doesn't change the fact that al Qaeda's core is still suffering and trying to remain relevant." Richard Clarke, a former counter-terrorism advisor to the White House and now consultant to ABC News, agreed and called the new announcement "probably nothing more than a public relations move" that "doesn't change anything." However, Clarke said it still "highlights what should always have been a source of concern." Specifically, Clarke referred to al-Shabaab's ability to recruit American-born jihadists to join its ranks. The FBI estimates dozens of Americans have been lured to Somalia by the group and U.S. officials have recently said publicly they are concerned that the terrorist organization, using those citizens, could attack the homeland. "Members of the group -- particularly a foreign fighter cadre that includes U.S. passport holders -- may also have aspirations to attack inside the United States," National Intelligence Director James Clapper said before a Senate hearing in late January. "However, we lack insight into concrete operational plans outside the horn of Africa." Al-Shabaab, designated a terrorist organization by the U.S. State Department in 2008, has been locked in a vicious battle over control over Somalia with government and regional forces for years. In addition to local acts of violence, al-Shabaab claimed credit for a dual bombing in Uganda in July 2010 that killed 76 people. The civilians there had been gathered to watch the World Cup soccer games. In September the FBI warned that many of those Americans who have joined al-Shabaab, like the Alabama-raised rapping jihadi Omar Hammami, may have assumed leadership positions, "raising the possibility that they could help expand al-Shabaab's global reach."